This mod adds the possibility to choose side windows to your cab on both RJL’s Scania R & Streamline, Scania T and the 4-series versions. The mod only adds outside windows so they will not be visible from the inside. In some angles you can see through the back of the cab. That is because of how the interior model is made and it’s only on the shorter cabs. 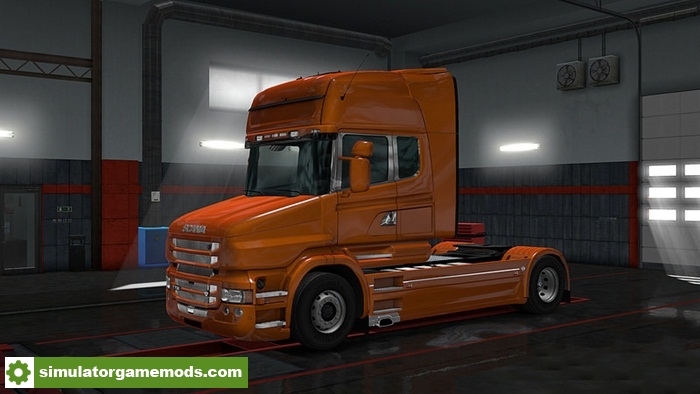 Give this mod higher priority than the Scania RS and Scania T mods to avoid conflicts. Install by just drop the ZIP-file in your mod folder and activate it in mod manager. Models is updated to the new file format.